2017: the year of increased consumer outrage. THIS YEAR, CONSUMERS ACROSS THE GLOBE ARE PROVING TO BE COMPLETELY EMPOWERED BY SOCIAL MEDIA. BRANDS ARE WAKING UP TO THIS FACT ARE READJUSTING TO STAY ALIVE. 2016 exposed the world to an unexpected truth, with a series of remarkable events shaking the world. Consumers woke up to a truth they didn’t expect. From Brexit to Trump’s election victory to the Turkey Coup down to the global fall in oil. Consumers worldwide have lost faith in systems from democracy to religion, systems are failing the people and people giving up on these truths. 2017 is here and the world has woken into this post truth, with increased repression against systems as protests and anti-government campaigns are sweeping through the world, consumers are standing against brands working against their interest. Uber, the car sharing brand has felt the burns this post truth intensely in this first quarter and now brands are wondering how best to survive in this era. Simply put, the future of brands in 2017 is in the truth of transparency, positive impact, tolerance and empowerment. Consumers in 2017 are waking into the power on their hands, riding on social media as social tool and brands are getting schooled on what is acceptable and what isn’t. Just in the first quarter of 2017, this trend has been seen across other fields round the global from the stance of black actors against the Oscars in a #OscarSoWhite and #BoycottGrammy tackling diversity and racism. Just last week we saw the world unite against the controversial Pepsi “Live in the moment anthem” ad, many threatened to #BoycottPepsi forcing the brand to take down the advert. This was a major move against racism and a disregard for social justice. A similar global outrage took down the Uber brand over the CEO’s backing of the Trump administration causing consumers to #DeleteUber, this spiraled out of the US into the rest of the world, the world saw passionate move of standing up against the brand. Yesterday, United Airline was faced with a climax of an outrage following a video shared online by Audra D Bridges which showed a passenger who was violently dragged off an overbooked United Airlines flight for him to be replaced by an airline staff. Many have said the act was bases of the passenger being Asian, causing an Asian outrage. United Airlines which is a major American airline headquartered in Chicago, Illinois, is the world's third-largest airline by revenue measure and ranks 68th on world aviation rating, operates a comprehensive domestic and international route network, with a significant presence in the Asia-Pacific region has experienced a 1.1% fall in stock wiping out $255 million off the airline’s market cap. Clearly the call from consumers to #BoycottUnited is causing a negative effect on the company’s sales. Down here in Nigeria consumers may not be angry enough to follow up social media outrages with real time actions. Consumers are globally focusing on political correctness alongside consumer satisfaction. In 2015 Chocolate Royal felt a similar burn by consumers over news of using fake, unregistered and expired/unwholesome food products to produce consumables for customers. No recent push has been reported locally even in the face of obvious service dissatisfaction. Looking and learning from other international consumers, there maybe increased cases of similar consumer outrage. Late March, Coca-Cola Nigeria’s products Coke and Fanta were said to be possibly “poisonous” when mixed with Vitamin C, consumers did not rise up in any similar outrage. Coca-cola said the claims are inaccurate and unsupported by science. Though this may have slipped off the growing trend of empowered consumerism, producers and brands are kept on their toes now. This increased power placed in the hands of consumers through social media is changing the way brands interact with their customers; causing improved transparency, attention to customer care and improved service delivery. 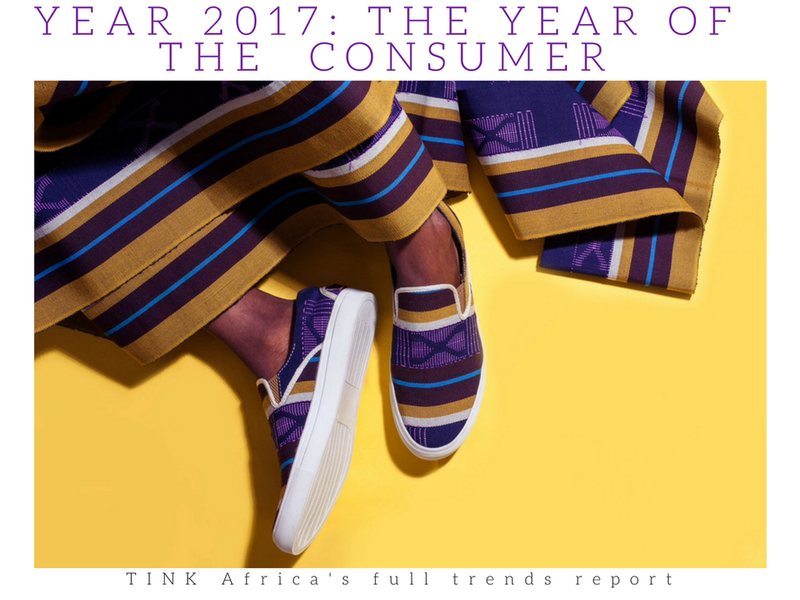 2017 is the fast becoming the year of improved globalization and empowered consumerism, we predict an upward push of this trend through the course of the year. Smart brands are also aware of this and are doing better to keep their customers satisfied.